Prague, the capital of the Czech Republic and the then-Czech Kingdom, became a centre of reformation one hundred years before the European reformations. 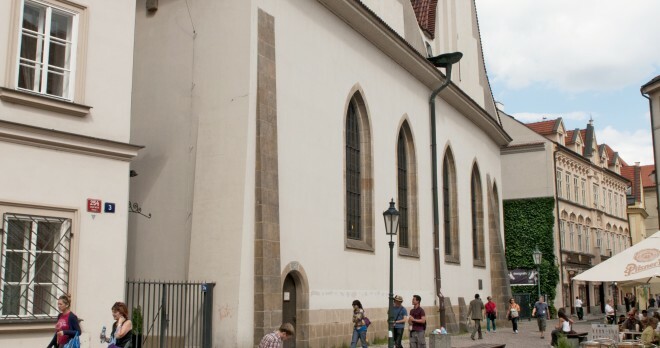 The powerful flow of Bohemian reformation the centrepiece of which was the personality of Jan Hus (†1415) gave rise to the Czech utraquist church which remained the main and majority church in Prague for over two hundred years. However, other religious communities started appearing in Prague eventually – besides the Roman (Catholic) church, there was the Unity of the Brethren as well as the Lutherans and Calvinists. 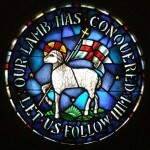 The Wittenberg or Lutheran reformation resounded amongst the Czech utraquists, too; and there was a German-speaking Lutheran community established as well. 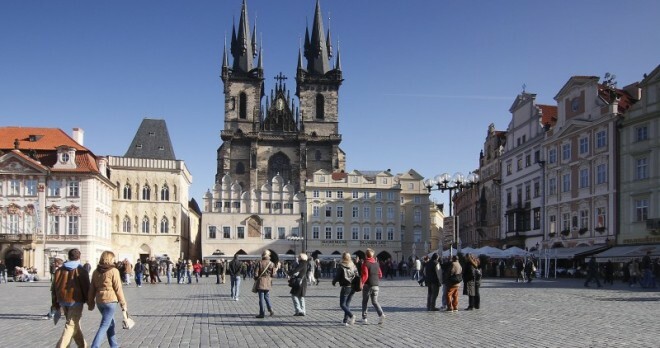 Prague became one of the early Modern Europe’s most varied and dynamic reformation centres. A gothic church used from the 15th to early 17th century as the main shrine of the Czech utraquist church. Inside, we can admire the burial stone of world-famous astronomer, astrologist and alchemist, Tycho Brahe (†1601), a Danish Lutheran who worked at the court of Roman emperor, Rudolf II, in Prague. Evangelical church completed in 1614 under the patronage of a Czech Lutheran, Jáchym Ondřej Šlik, for the needs of German-speaking Lutherans. A number of important people from the early Modern Lutheranism made contributions towards its construction. 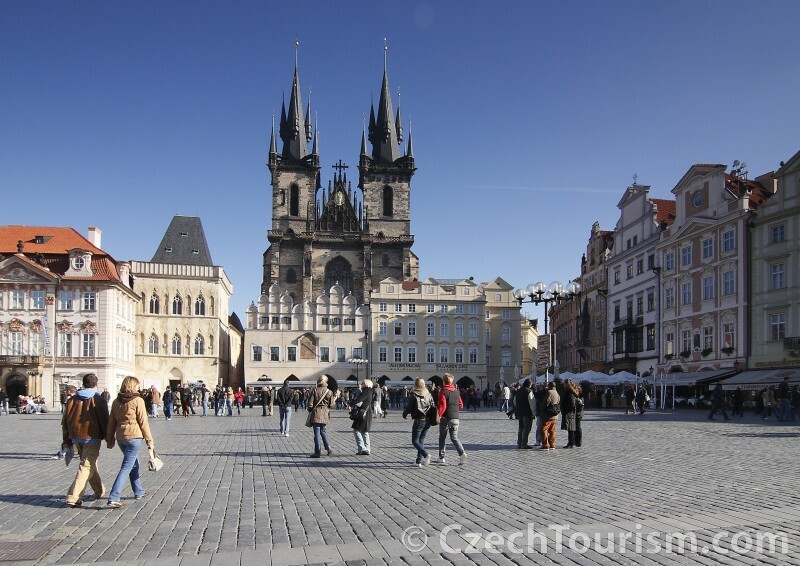 There are 27 white crosses located in the Old Town Square in front of the Town Hall; they commemorate the leaders of the uprising of Czech estates against Roman emperor, Ferdinand II of the House of Habsburg, who were executed here in 1621. The group included a number of Lutherans like the aristocrat, Jáchym Ondřej Šlik, or the doctor and philosopher, Johannes Jessenius. There is also a memorial plaque on the Town Hall tower. Essentially a gothic building which has been the centre of the Charles University since the middle ages. In the 16th century in particular, a number of important scientists who had studied in Wittenberg or adhered to Lutheranism openly, like for example Classical Languages Professor, Matouš Collinus of Chotěřina whose renaissance memorial plaque still adorns the Large Hall, or Adam Zalužanský of Zalužany, botanist, and doctor Johannes Jessenius. 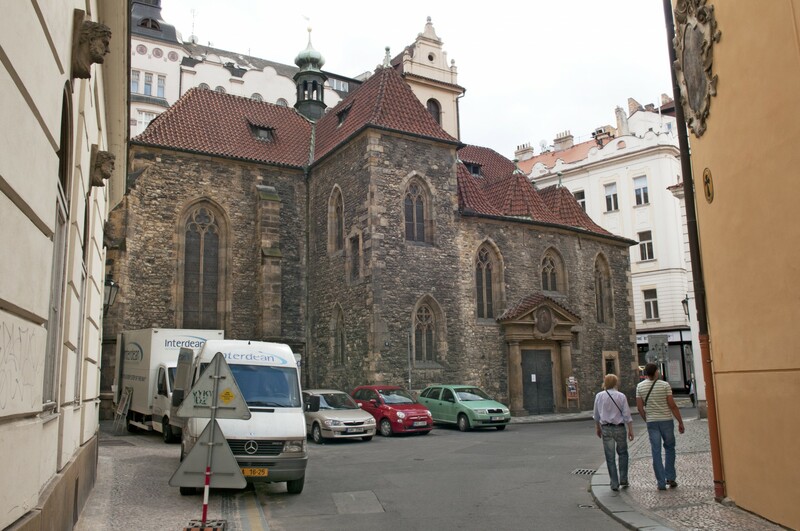 The first of Prague’s temples in which liturgical utraquism, or communion under both kinds (Lat. Sub utraque species) was renewed in 1414. As noted by the memorial plaque, the members of the Brokoff sculptor family were buried by the church in the 17th and 18th centuries; they also originally adhered to Lutheranism. 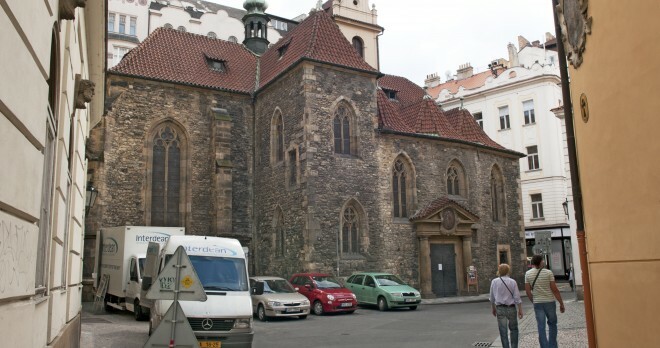 Today, the church is used by the Evangelical Church of Czech Brethren and accommodates German Lutheran service. Originally an utraquist temple; used by German Lutherans in 1791 to 1945. In 1923 and 1928 the church experienced organ concerts by the world-famous Protestant missionary and doctor, Albert Schweitzer. 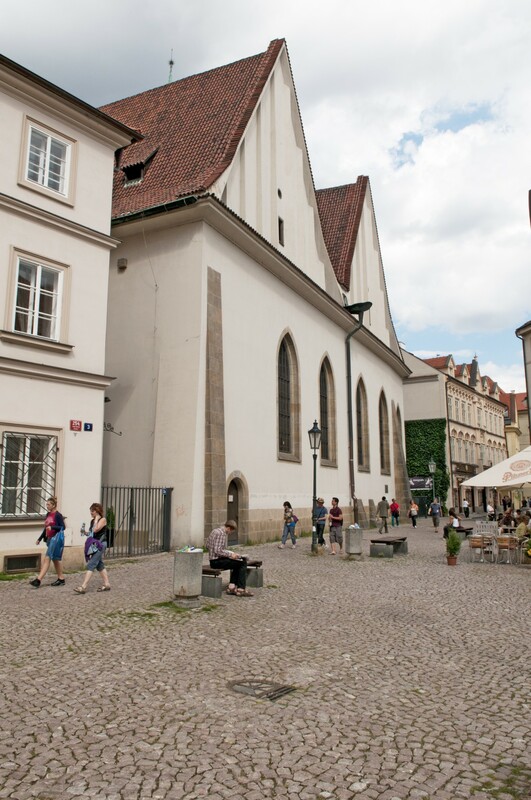 Today, the church is used by the Evangelical Church of the Augsburg Confession in the Czech Republic. 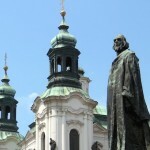 The one-time preaching spot of M. Jan Hus and one of the centres of the Bohemian reformation also constituted an important place of encounter with the teachings of the Wittenberg (Lutheran) reformation. For example, Thomas Müntzer (originally a Martin Luther follower) preached here in 1521. 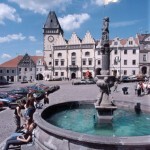 A monumental gothic structure founded by Charles IV which connects the Old Town with the Lesser Town. In 1648, the bridge became the venue of a battle between the Swedish Lutheran army of General Hans Christoph Königsmarck and Prince Karl Gustav, successor to the Swedish throne, and the town’s militia consisting even of the Klementinum Jesuit Academy students. The then-parish church from the 13th century has been replaced by a magnificent baroque building. It was used by the Utraquist Church for over a century. The townspeople of the Lesser Town had an abundantly illuminated Lesser Town Gradual made for the church in 1572; it was renowned for its representation of John Wycliffe, Jan Hus and Martin Luther as the main inspirations of reformation.